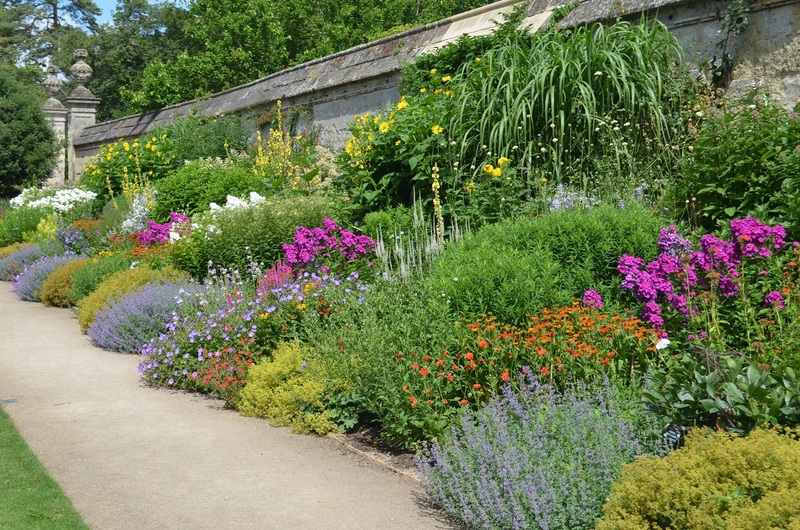 First established in 1946, this planting is a classic example of the traditional English herbaceous border. 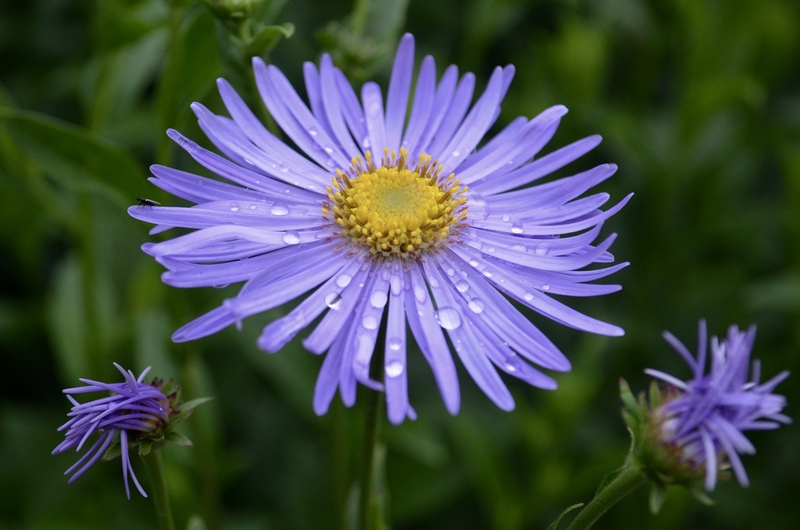 Unlike other areas of the Garden, it relies predominantly on herbaceous perennials. These die back to a rootstock each winter before bursting back into life again in spring and flowering through the summer. The planting is designed to provide interest from April to October. The display begins with tulips in a range of colours, followed by early- to mid-season and late-flowering perennials. The plants are arranged in layers, with smaller plants positioned at the front of the border and taller plants towards the back. Occasionally, we allow a few of the larger plants to make their way to the front to break up the formality. 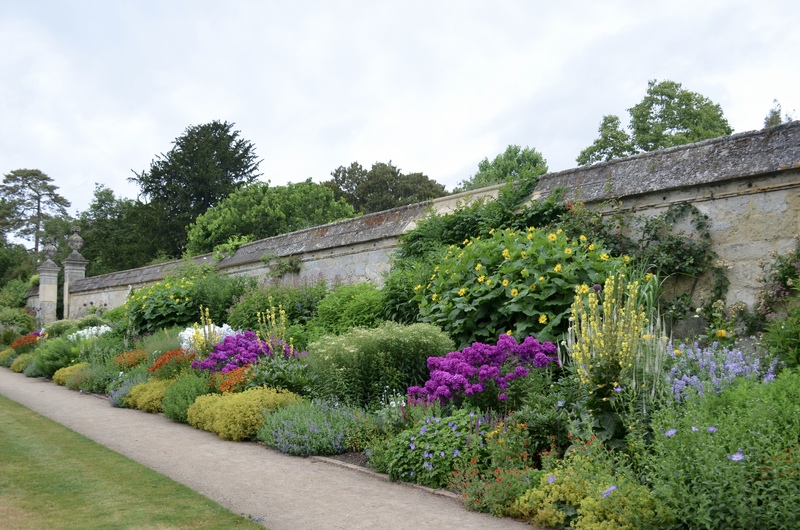 Key plants are repeated along the border to create a sense of continuity: peonies, lupins, phlox and asters, for example, which flower in succession throughout the season. Traditional hand-woven staking is used to support the plants when in full growth. All of the material is cut annually from our sustainable coppice at the Arboretum. 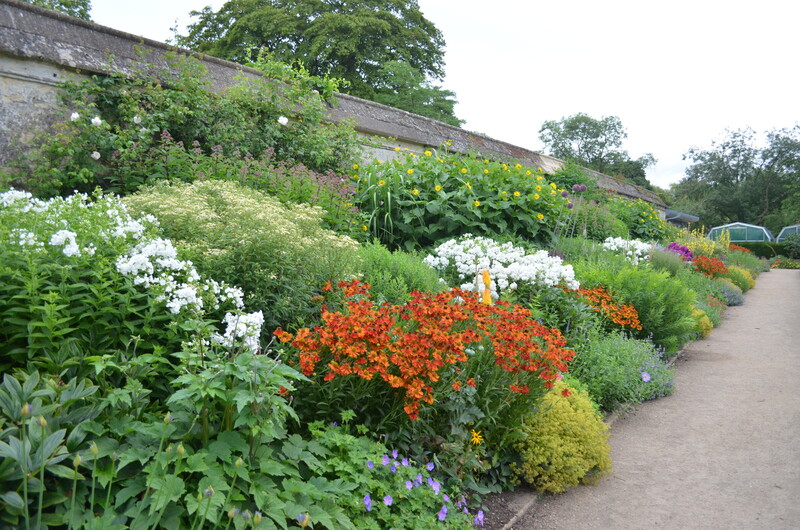 Although the concept of this border is traditional, the plant selection is contemporary. 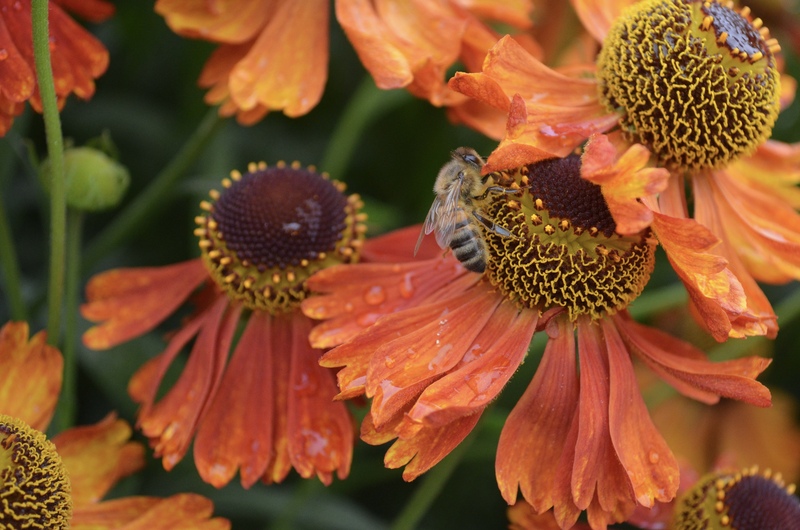 By selecting new cultivars, we ensure the inclusion of plants that perform better for longer and are more resistant to pests and disease.